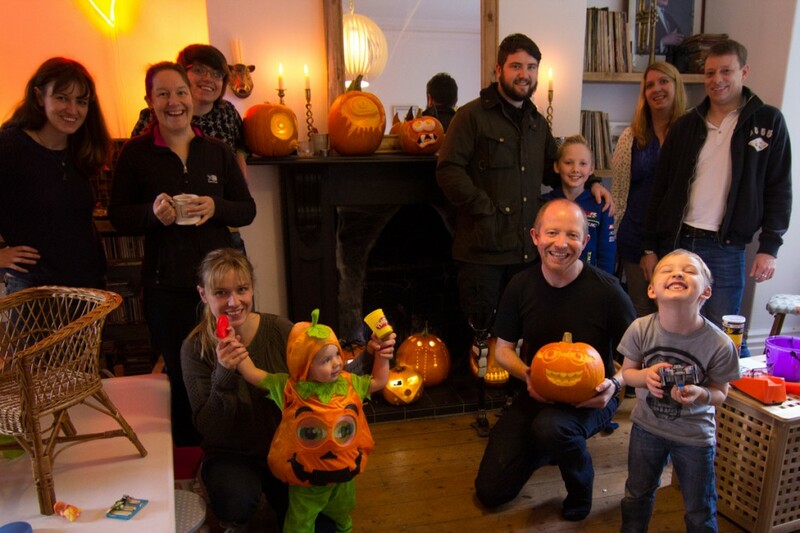 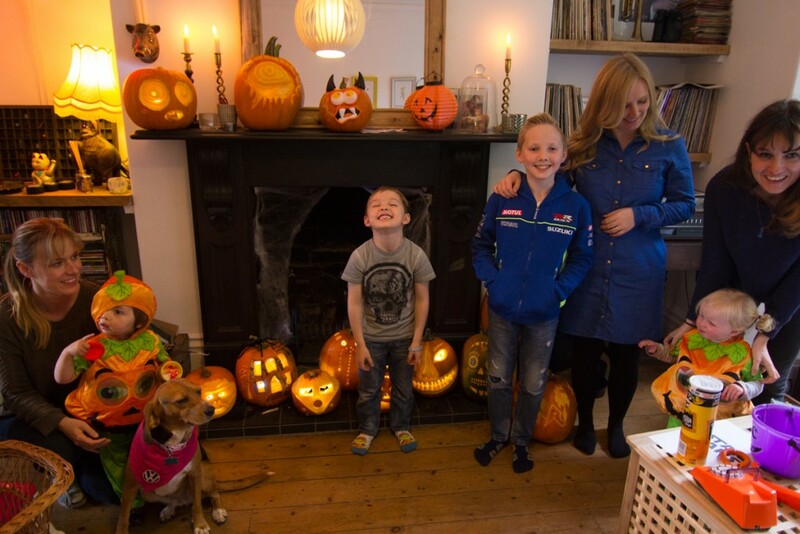 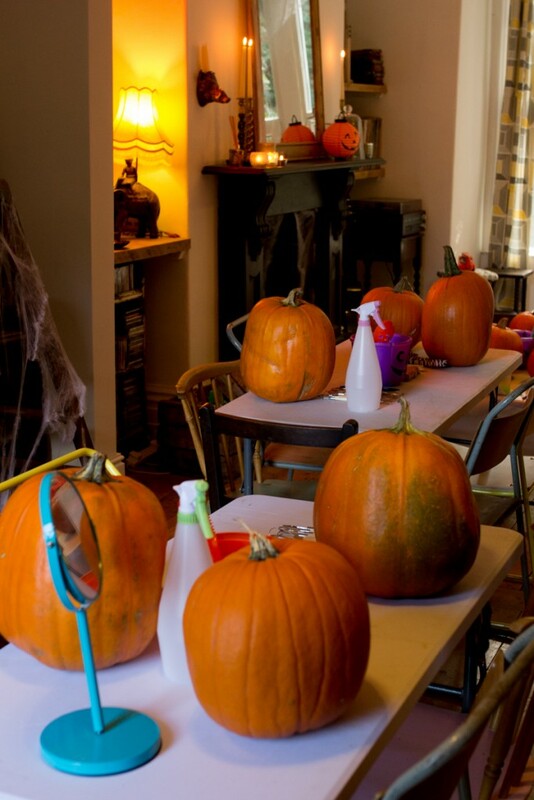 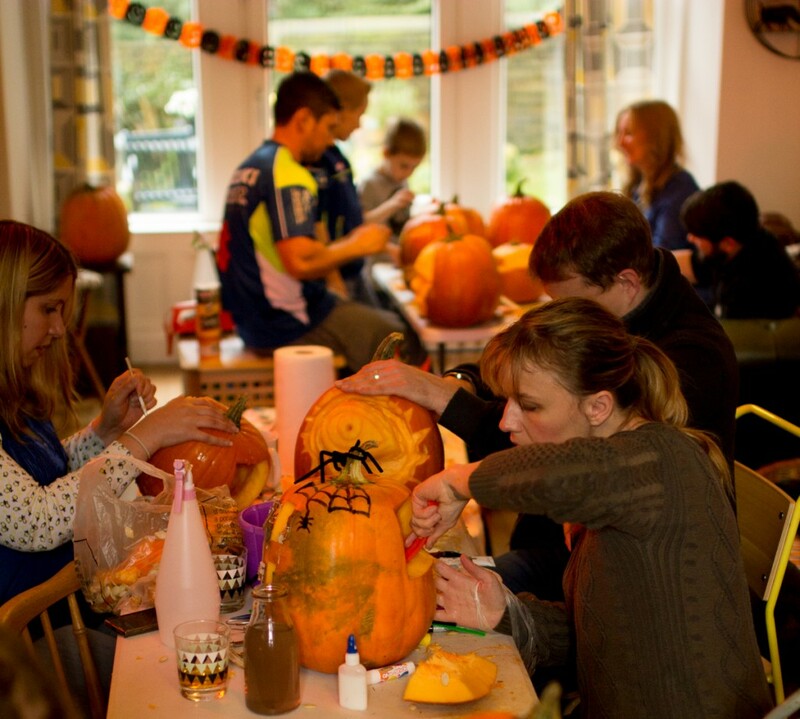 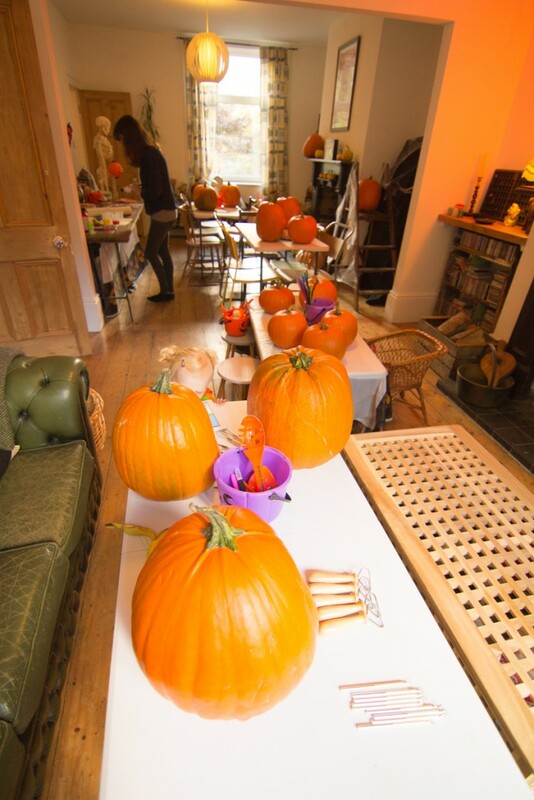 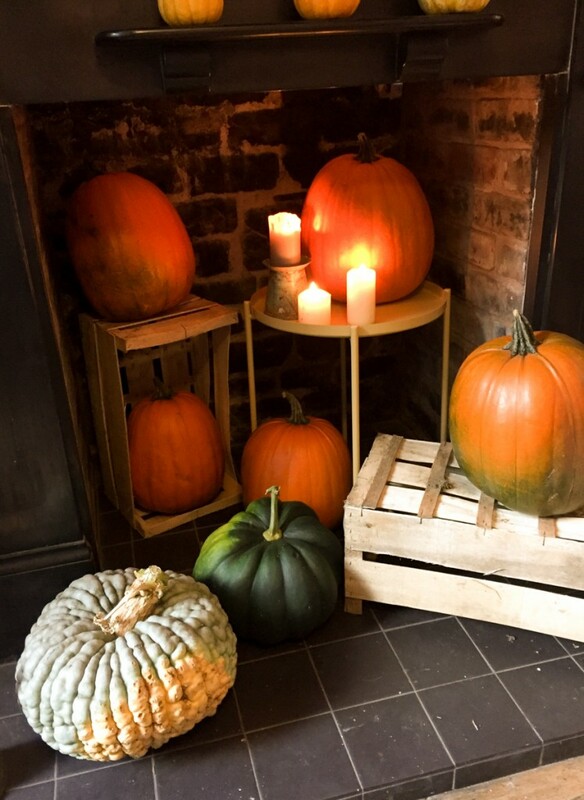 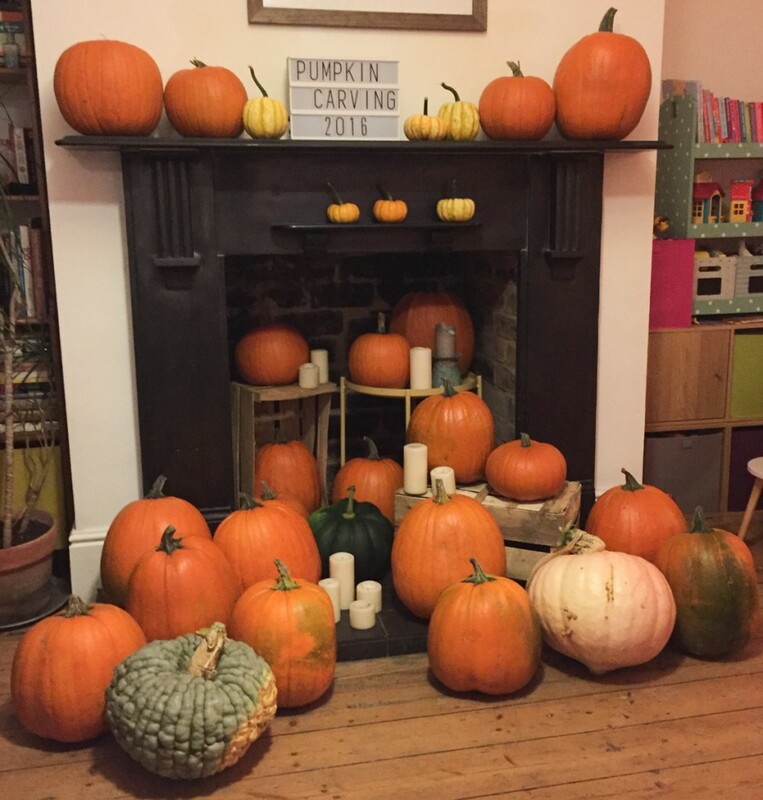 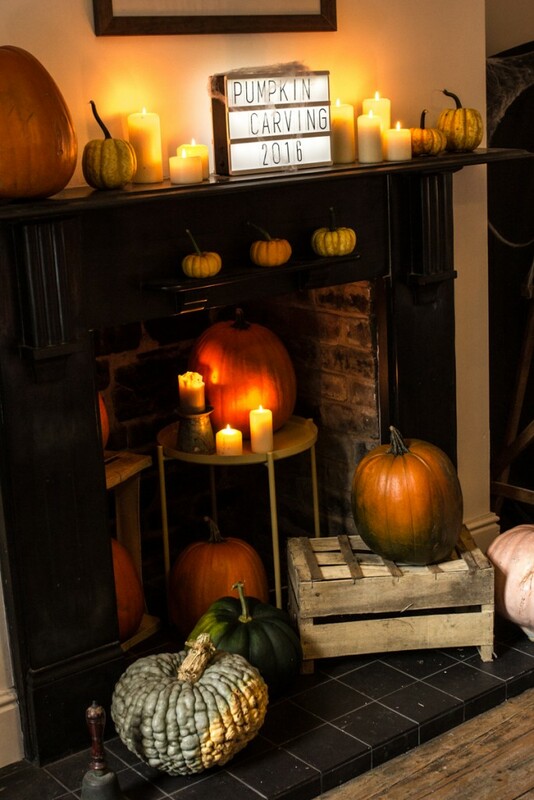 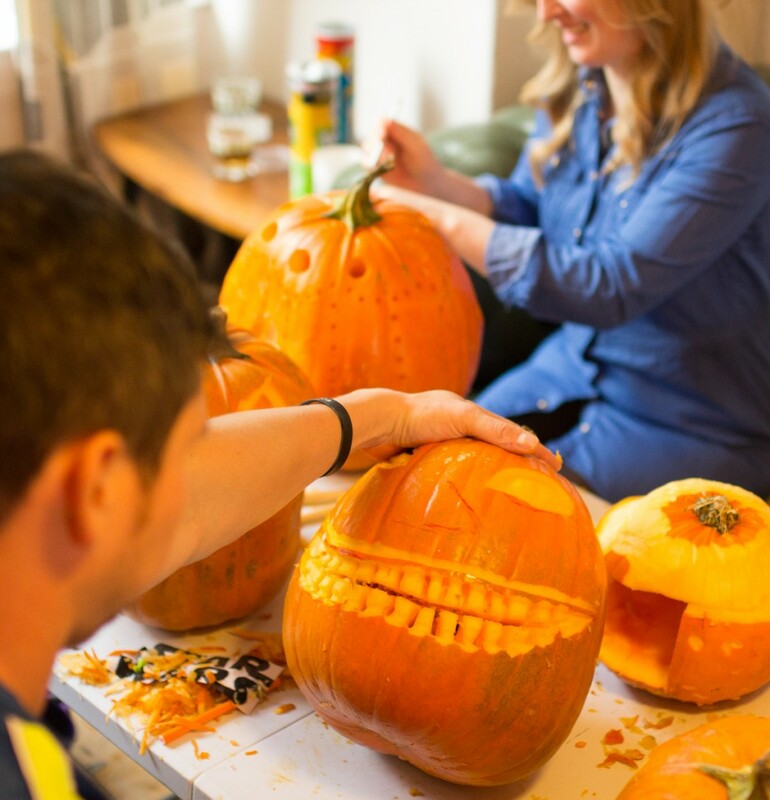 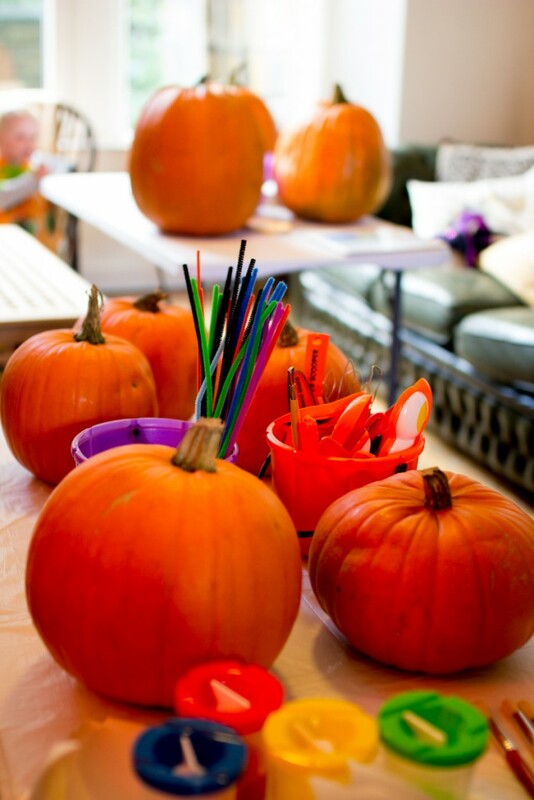 As with every Halloween, we at Sand In Your Eye, get really busy carving away in our Bradford workshop making pumpkins for all kinds of events, so before the season got into full swing we thought it would be lovely to get together with some family and friends to hold a pumpkin carving workshop party! 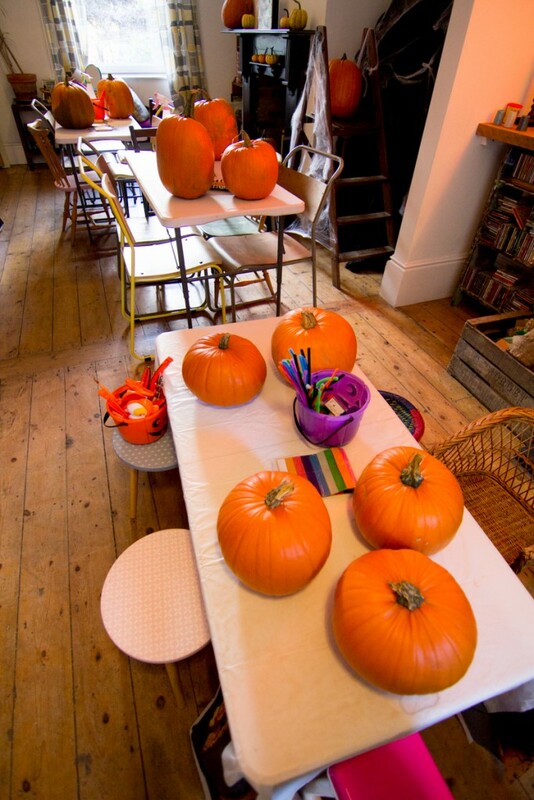 We set up some tables in our house and borrowed all kinds of different seating solutions to accommodate everybody. 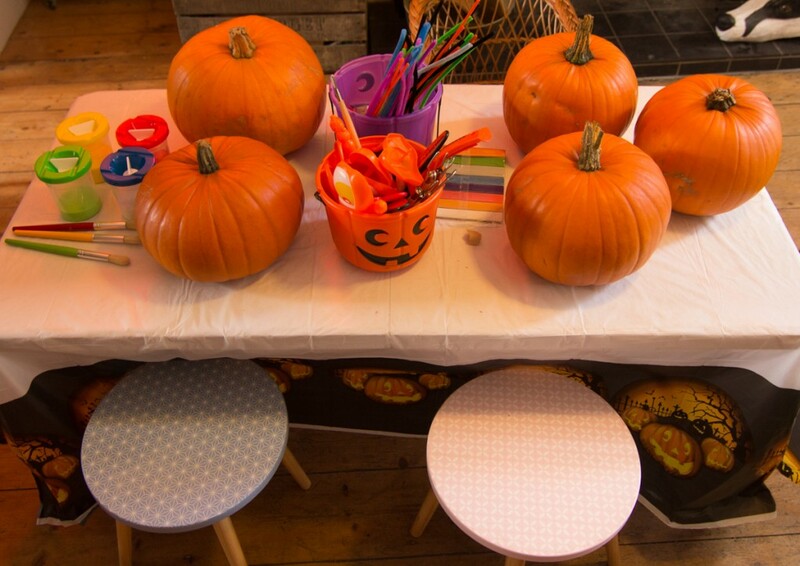 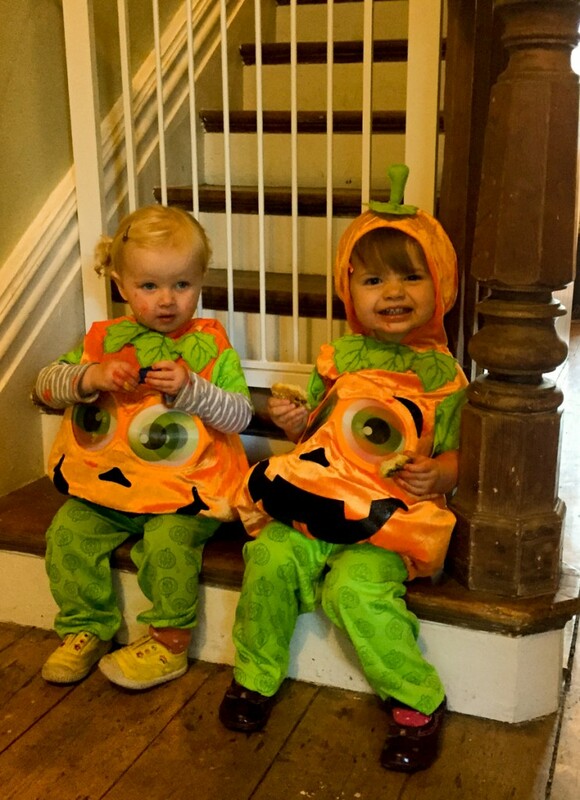 We set up a special table for toddlers, so they could join in too. 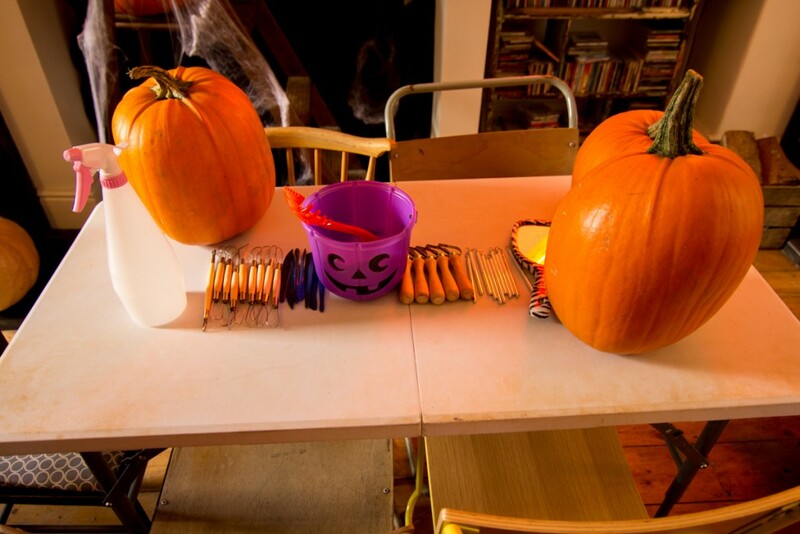 Everyone who came brought some Halloween themed fuddle food so we all had some food to keep our energy levels up! 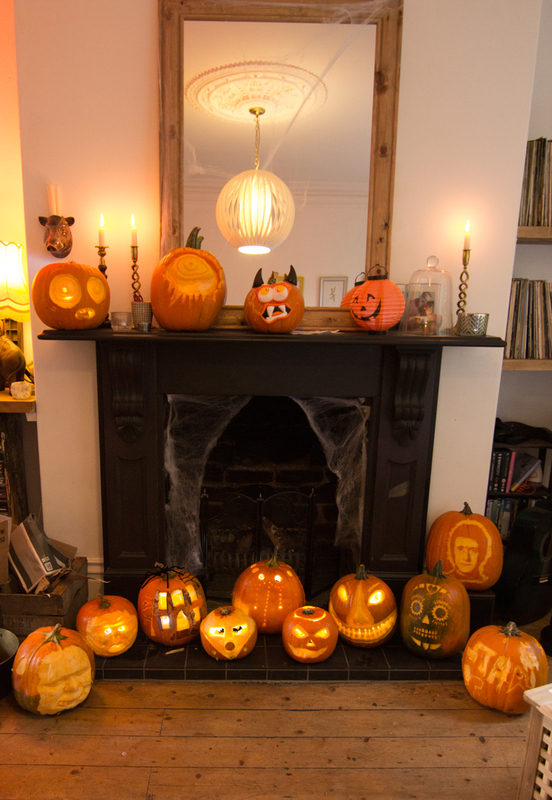 After a bit of a tutorial from Jamie Wardley. 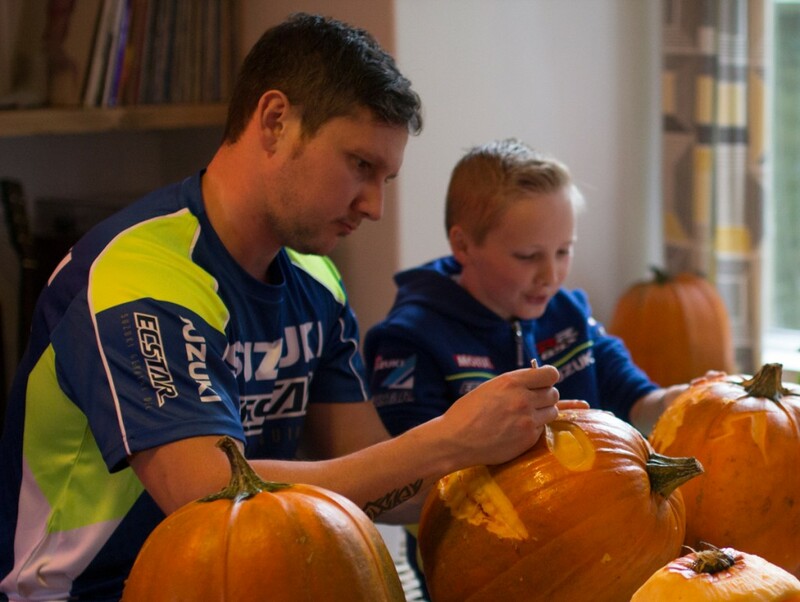 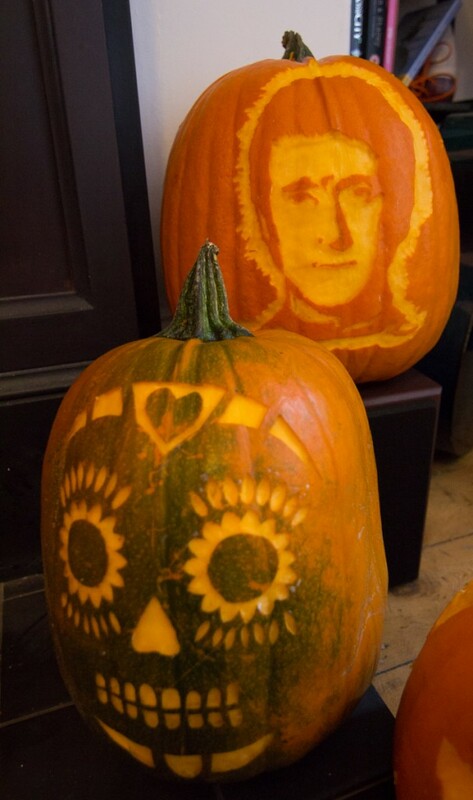 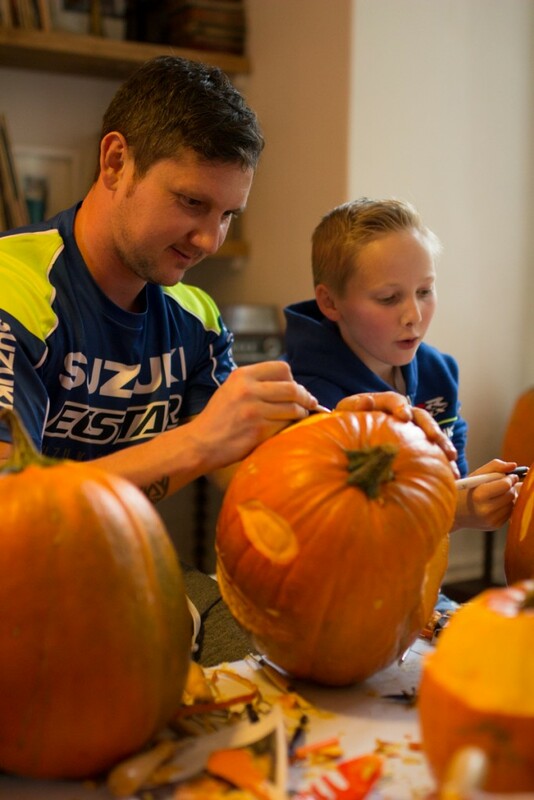 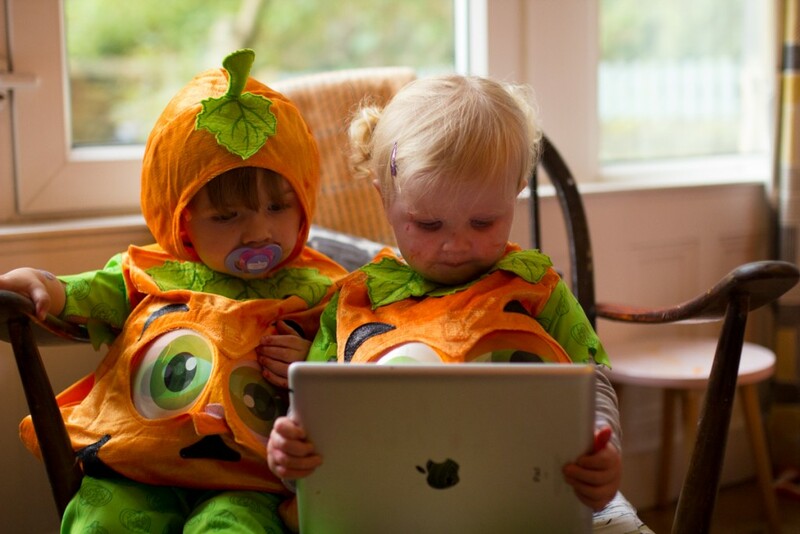 Myself and Jamie helped everyone get inspired to create a pumpkin carving of their choice. 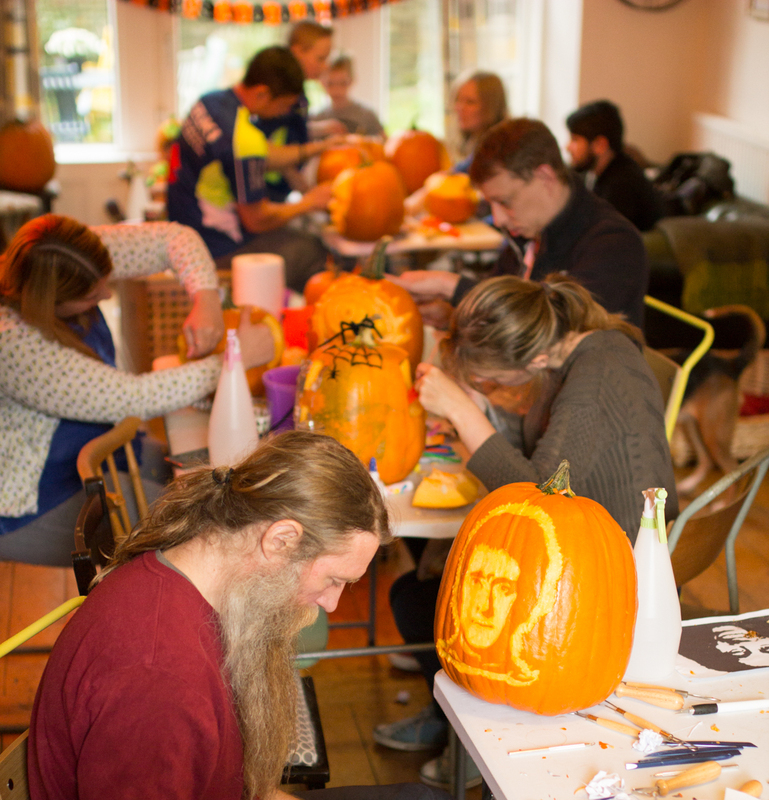 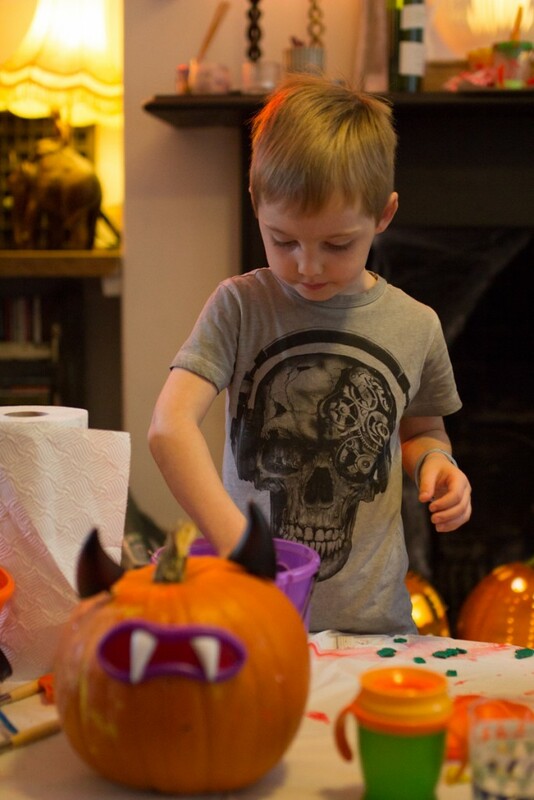 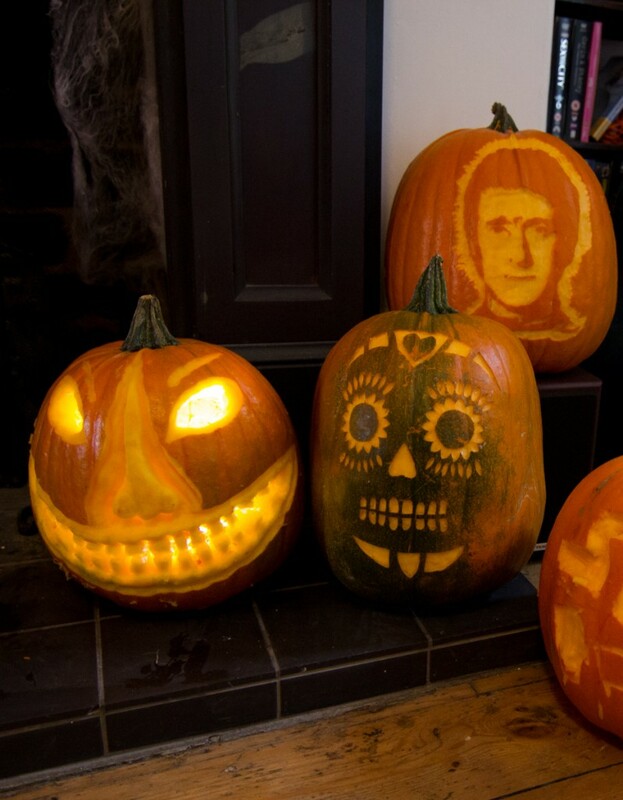 Everyone got stuck in and created some wonderfully creative pumpkins to take home with them. 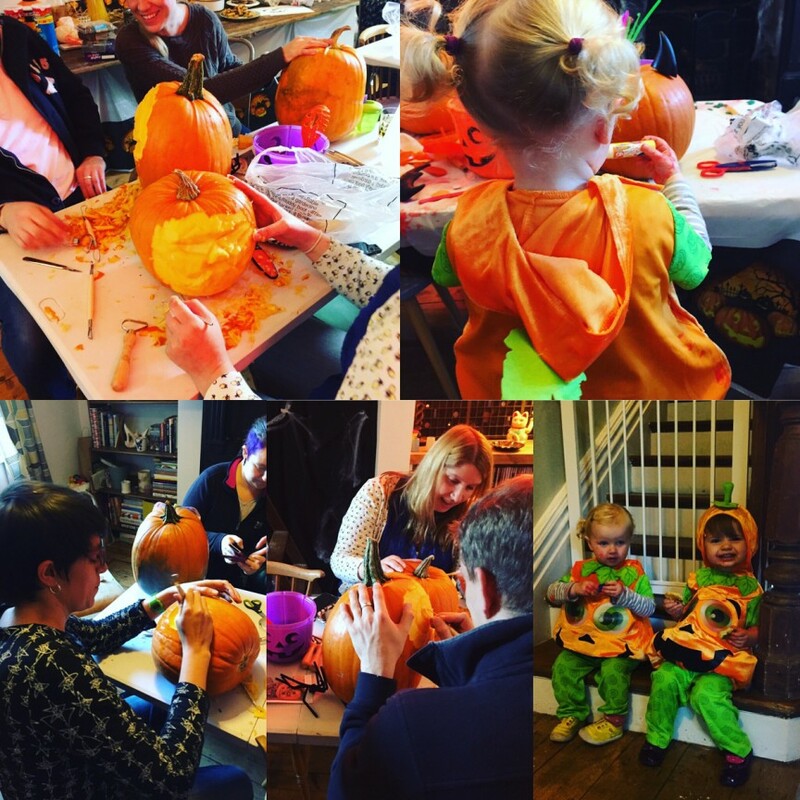 Thank you to everyone who came, it was a lovely day. 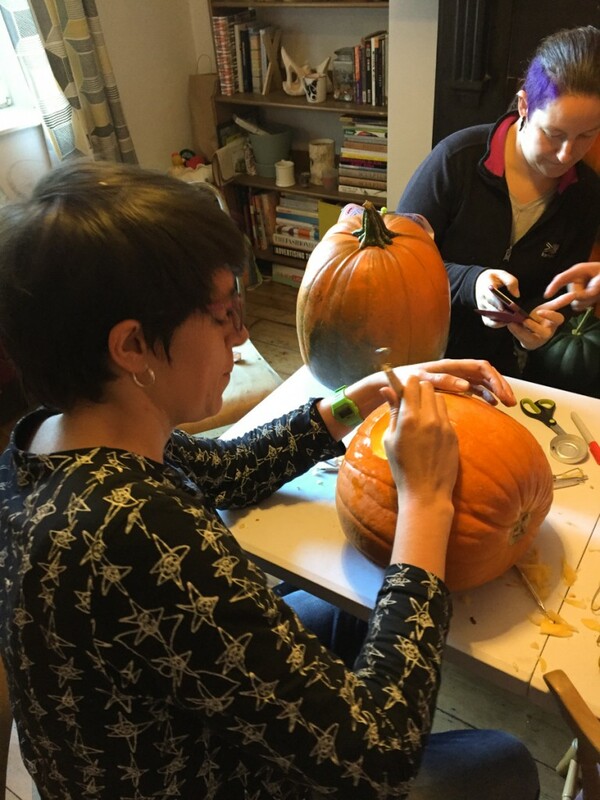 I was invited to join Claire and Jamie for a pumpkin carving lesson, I’d never done anything like this before and wasn’t sure what to expect. 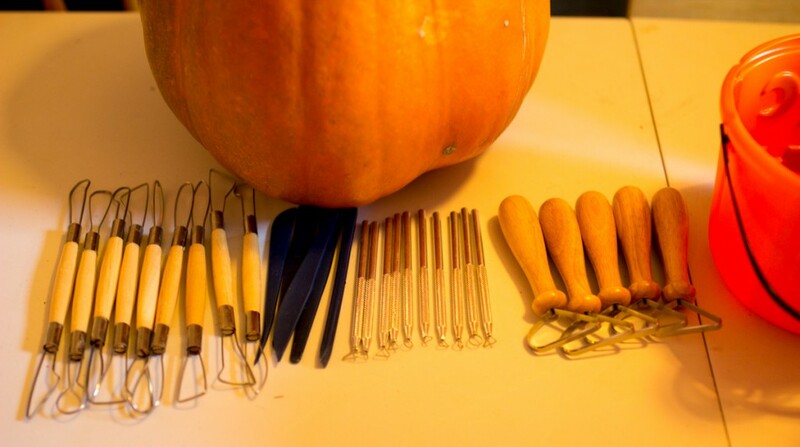 After choosing the pumpkin I wanted to carve, Jamie gave us a tutorial on how to use all the different utensils we were ready to get started. 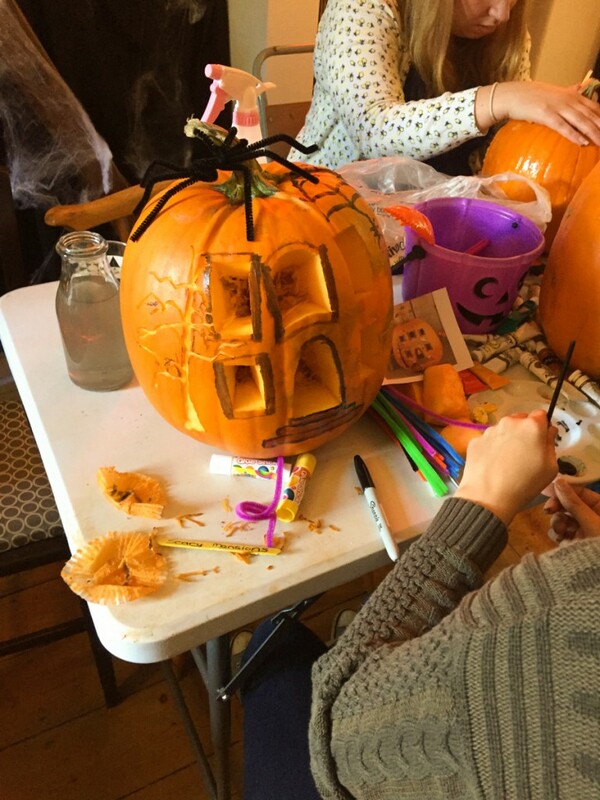 I couldn’t decide what to carve so after looking at some of the templates I decided to go free hand and try to create a scary face! 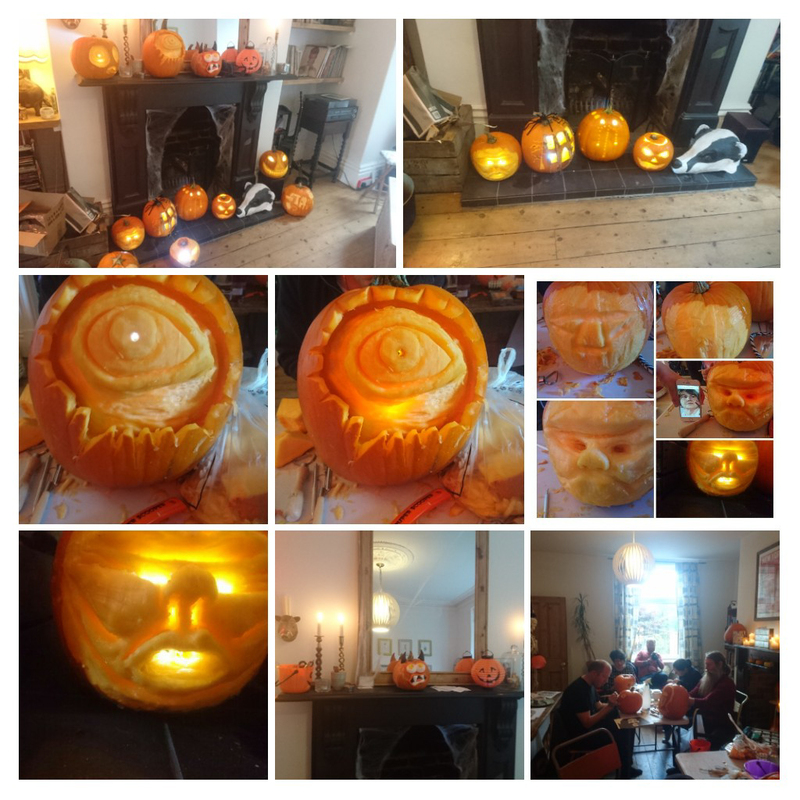 Once I started the carving started to resemble someone from Eastenders which wasn’t part of the plan, however more carving and shaping I finally finished. 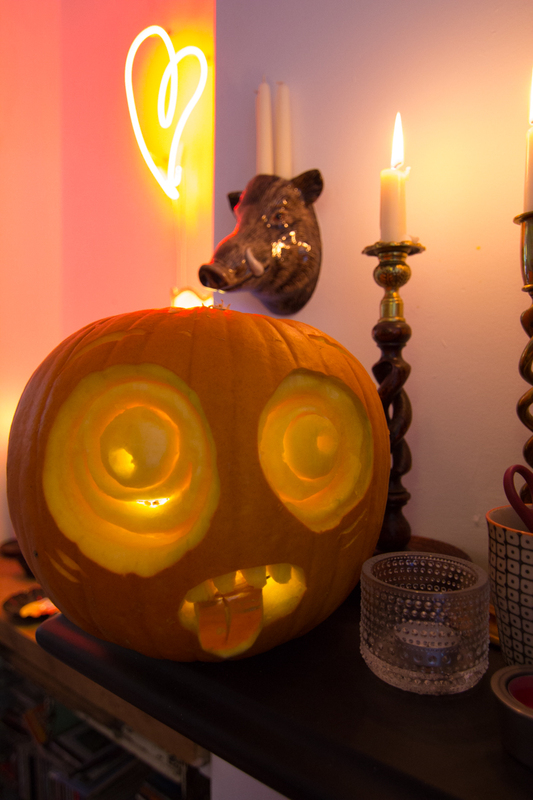 Once I’d taken the insides out and added a candle you could see the depth to the face. 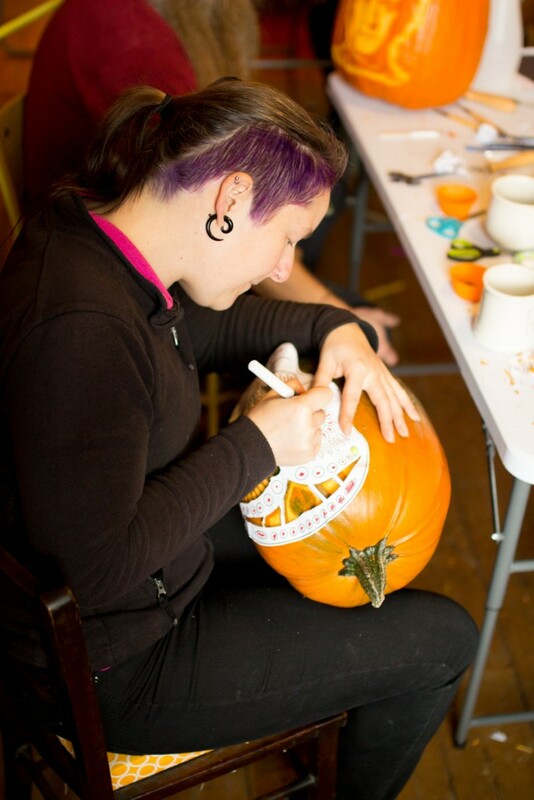 I really enjoyed the day learning new skills that I will be able to use time after time. 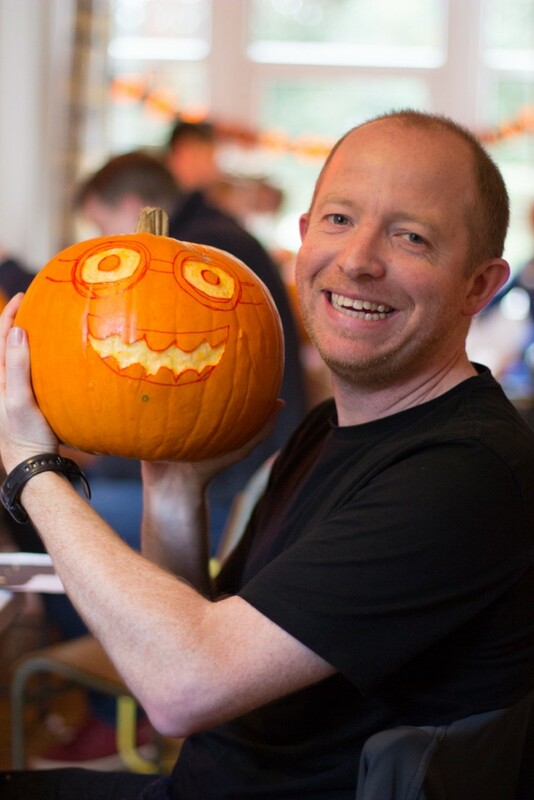 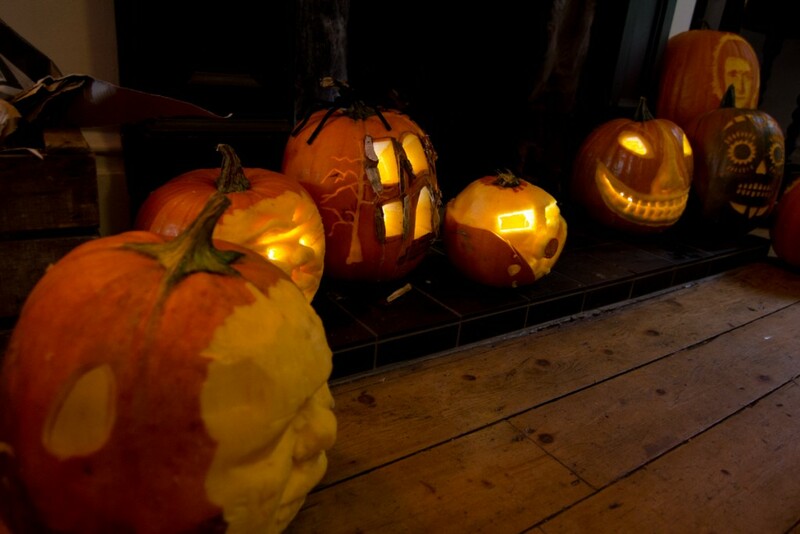 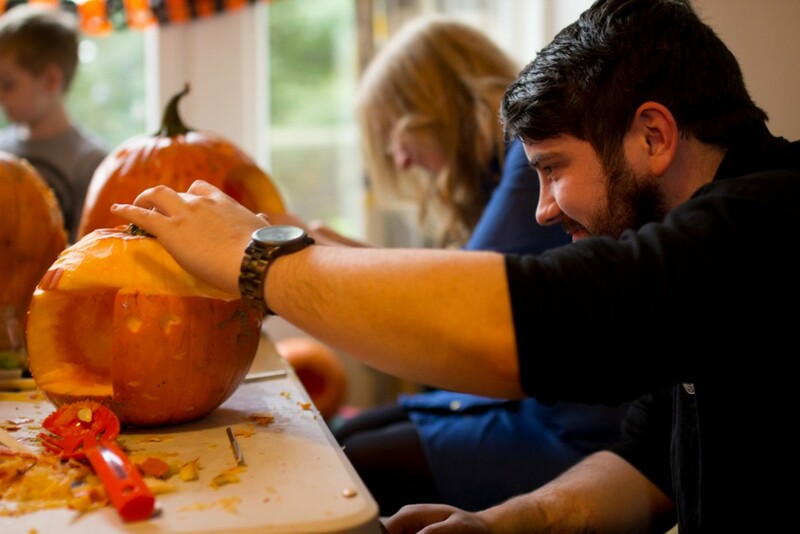 Hi there, I have some staff i wish to send on a pumpkin carving course i am based in Chester. 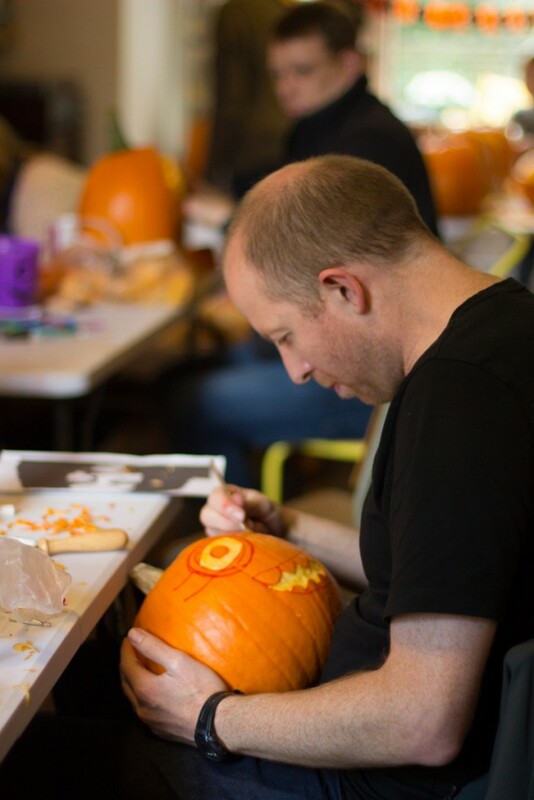 do you organise separate classes or do i need to book them in on the workshop?